Kensington Tours specializes in custom tours and cruises to the most extraordinary destinations. Every tailor-made journey is carefully crafted by our destination specialists to deliver a personalized adventure like no other. We build in enriching and unforgettable experiences and put the best private guides at your service. We do all this with award-winning attention to detail and at unbeatable value for your travel dollar. Cool off with gelato while strolling the piazzas of Rome, village hop in the sundrenched hills of Tuscany and catch the Puccini Festival, Feast of San Paolino or Joust of the Bear in Florence. Nothing on earth compares to summertime in Italy. 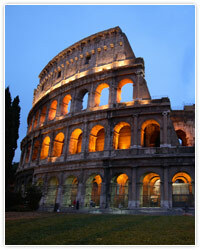 Witness the Eternal City's Coliseum, Catacombs, Pantheon, Trevi Fountain and Vatican. See works by the Italian masters while touring the museums and cathedrals of Florence. Tour the vineyards of Chianti, the medieval metropolis of Siena and the ancient walls of San Gimignano. This Italian escape includes first class rail, charming hotels, shared tours and private airport transfers. Ciao Bella! Behold one of the greatest spectacles on earth, Africa`s Great Migration with this private safari through Nairobi, Lake Naivasha and the legendary Masai Mara. A never-to-be-forgotten experience, you`ll witness millions of wildebeest and zebra as they take their epic journey through the Masai Mara - evading lions, crocodiles, leopards and hyenas along the way. Visit the Karen Blixen Museum, Elephant Orphanage, and Giraffe Manor - or go to Lake Naivasha for a boat cruise. 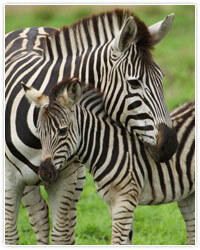 Safari through Nakuru National Park for flamingos, monkeys and rhinos. If you`ve wanted to experience the circle of life this is the time to do it! A kaleidoscope of golden Buddas in Bangkok, elephant encounters in Angkor Wat and the exotic islands of the Andanam Sea, this private guided tour through Thailand and Cambodia makes for a luxurious adventure. Begin in Bangkok, where you'll dine on delicious cuisine, explore vibrant markets and more. Next, travel to Siem Reap's ancient temple complex of Angkor Wat, once the most magnificent city in the world. Afterward it's off to Phuket's turquoise waters, talcum powder beaches and your own private yacht. 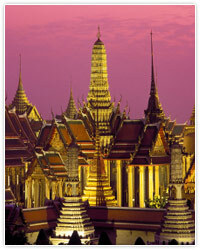 Featuring luxury hotels, private guide, driver and modern sailing yacht, this voyage though South East Asia shines. Indulge you palate for pleasure & other senses while discovering the Paris of South America & celebrated vineyards with this private tour of Buenos Aires & Mendoza. Dine on traditional BBQ, learn to play polo, watch a seductive tango show & taste your way through the sensuous wine region. From grape to bottle, receive an intimate look into the winemaking process as you visit the celebrated wineries of Andeluna Cellers, Bodega Salentein, Ruca Malen, Belasco de Baquedano & Bodega Catena Zapata. Taste world renowned wines with a focus on the region's famous Malbecs, flavours enhanced by breathtaking views of the Andes Mountains. A novel way of beholding the breathtaking landscapes and religious sites of the Holy Land. Delve deep into the timeless treasures of Israel led by your private guide while staying at traditional Israeli kibbutzs and hotels. 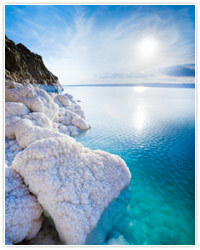 Partake in the lifestyle of the Kibbutznik people firsthand as you tour the legendary highlights of white city of Tel Aviv, the religiously rich capital Jerusalem, diverse Galilee and the unique Dead Sea. A truly uplifting and sacred tour, you'll encounter spiritual awakenings around every corner. With the freedom that private guide and this customizable itinerary provides, your time in the Holy Land is sure to be a truly life changing travel experience. Shalom! Set sail on classic yet cosmopolitan Aegean voyage with this spellbinding cruise through the eternal isles of the Greek Cyclades. A myriad of whitewashed villages, timeless antiquities, revitalizing wines, lip-smacking cuisine, brilliant beaches and pulsing nightclubs, this diverse land holds pleasures for every traveler. Disembark for private shore excursions of stylish Santorini, mystical Delos, glittering Mykonos and the ancient treasures of Syros. 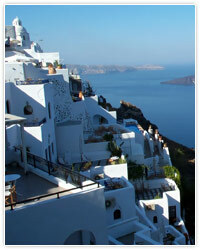 Leisurely explore the isles of Paros, Kimolos and Folegandros. Complete with private tours of Athens` epic sites, this holiday is a fusion of past and present, where modern life takes place amongst ruins of old. Embark on a decadent private guided journey through Peru's lost cities, age-old ruins and into the heart of the tropical wilds of the Amazon rainforest. Travel through time as you explore Cusco, Lima, the Sacred Valley and the legendary ancient mountaintop city Machu Picchu in style from elegant hotels. Next embark into the remote depths of the Amazon, the Pacaya Samiria Reserve on an intimate and award winning cruise ship. There you'll meet with indigenous children, fish for piranha and feed baby manatee. 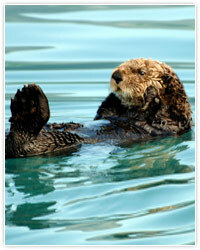 Led by your expert guide photograph endangered pink dolphins, jaguars and playful monkeys. A stylish and unique take on Peru! An adrenaline expedition through the last frontier, Alaska. Prepare for a thrilling 3 day sea kayaking through Kenai Fjords National Park, an overnight rafting trip on the Matanuska River and tours of Denali National Park and Anchorage. Explore Alaska`s untamed yet regal terrain - from snow crowned mountains, salmon rich rivers and dazzling age-old glaciers, to oceans of breaching killer whales and remote beaches packed with sea lions. Spend your evenings dining alfresco by the fire and fall asleep to the howls of wolves at traditional wilderness camps and charming lodges. 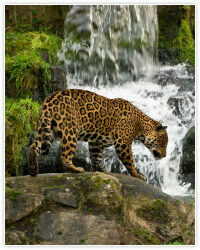 * Photos and descriptions of tour services provided by Kensington Tours.